Rotary International is a worldwide organisation of 1.2+ million men and women who find joy in dedicating some of their time giving back to their communities. There are over 33,000 clubs worldwide across 208 countries. 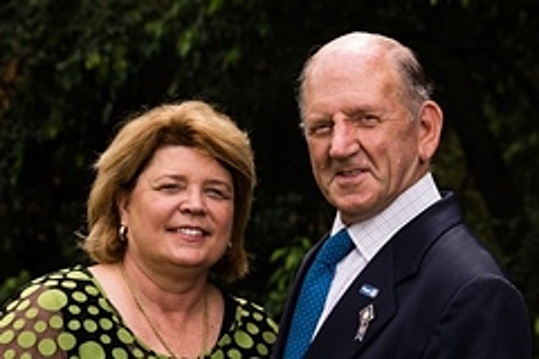 Rotary District 9600 is a group of 66 of these clubs located in Queensland (a state of Australia) and also Papua New Guinea, Solomon Islands and Nauru. In Queensland the Clubs are located in the Capitol city of Brisbane and most major centres north to the Sunshine Coast and country areas including Gympie and Kingaroy. Rotary is a very social organisation. Fellowship and friendship is high among members. Most clubs meet weekly over a meal at differing times. Membership often comprises men and women from business and professional groups; retirees and young people with a passion to get involved in supporting their community and local charities. Each club chooses to run local projects in their region, plus they support the International work of Rotary such as the Polio Plus program with the ambition to wipe out Polio and other diseases. Members have the opportunity to participate in overseas exchange programs. Youth training and mentoring programs. Overseas humanitarian aid projects, disaster aid and so much more. Explore the District 9600 Clubs below and feel free to contact your local club to also find out more. You will be welcome to attend a club's weekly meeting as a guest. This gives you an opportunity to meet the club's team and find out more about their projects and passions. Want to know more about Rotary International? ..... Click here.